Silverstone racetrack has asked David Cameron to prevent tens of millions of pounds of potentially "illegal" state aid being used for a new £280m circuit in Wales. Developers behind the Circuit of Wales scheme in Ebbw Vale, Blaenau Gwent, are said to be asking the Welsh and UK governments to commit up to £50m. Silverstone has written to the prime minister to intervene. Planning issues have delayed the start of work at the site. Heads of the Valleys Development Company wants to create 6,000 jobs and bring 750,000 visitors a year to the area as part of its plans but doubts have been raised over the number of jobs claimed. The development promises to transform one of Wales' most deprived communities. Alongside the racing circuit, there are plans for hotels, a grandstand, a technology park and a solar park. But those projects all rely on the racetrack going ahead. The Circuit of Wales would host all motor racing events except Formula 1. A spokesperson for Silverstone confirmed on Monday that its managing director Richard Phillips had written to Mr Cameron about funding for the Circuit of Wales. The letter said: "An injection of funds by the Welsh and/or UK governments to the Circuit of Wales project would amount to a transfer of state resources, which gives Circuit of Wales an economic and selective advantage over other circuits. As such, it could amount to illegal state aid. "There are a number of well established, privately funded circuits in the UK, including Wales, that feel that the British motor sport industry would be threatened by the addition of a government-funded circuit." The Association of Motor Racing Circuit Owners, which represents 17 UK race tracks, said last summer the circuit would harm motorsport. Developers have asked both the Welsh and UK governments for up to £50m in total towards the scheme, it was revealed earlier this month. BBC Wales understands the Welsh government is considering investing £30m in the project. The Welsh government told BBC Wales on Monday the Circuit of Wales had not asked it for money. Heads of the Valleys Development Company has also been asked to comment. A key part of the racing circuit development involves securing the rights to host MotoGP - the motorbike racing equivalent of Formula 1 - which attracts global audiences of up to 300 million. The company has said it aims to build the circuit in time to host the prestigious event in September 2015 but it is understood no deal has yet been signed. It was hoped that building work could start on the site last December but there have been delays because of planning issues. 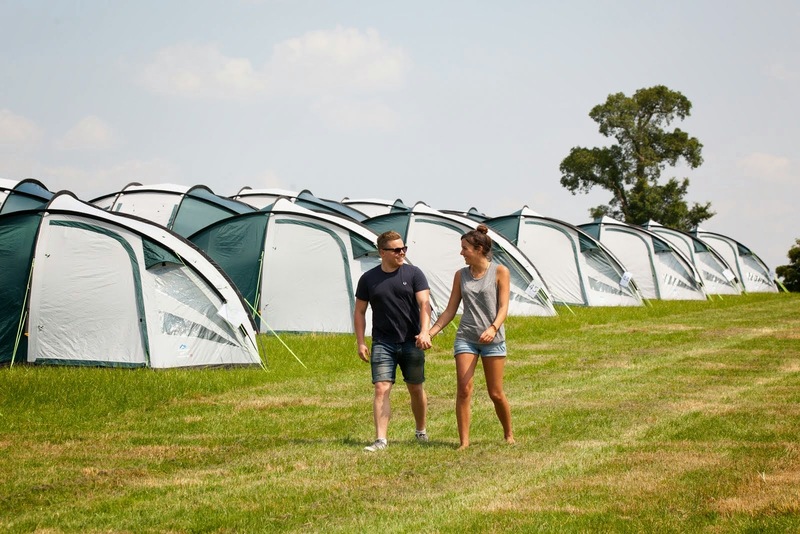 The circuit is being built on 332 hectares (820 acres) of common land so the company has to de-register it, find an equivalent amount of land elsewhere and re-register that as common land. The Planning Inspectorate for Wales said the process could take almost a year to complete. Some camping trip. But he was not any old F1 fan. The man who has a first drivers’ title in his sights this season has the sport woven into his DNA. Fast-forward to 2014, and the low-pitched grumble of turbo-powered engines will be heard in Formula One for the first season since Rosberg was woken by Senna tearing through Monaco’s streets in 1988. It is a season of immense change in which the Mercedes driver is considered one of the favourites, as he seeks to become the second son of a world champion to win the crown himself, after Damon Hill. In some quarters, he is favoured even more highly than his team-mate, and long-time friend,Lewis Hamilton. The dynamic with Hamilton will be one of the season’s most fascinating sub-plots – a modern spin on the rivalry between Ayrton Senna, whose instinctive brilliance is echoed in the skilled, occasionally reckless Hamilton, and his McLaren team-mate, the ‘Professor’ Alain Prost, an ice-cool technician to whom Rosberg is a natural heir. "It was the same when we were young - it was so competitive between us. In the amount of pizzas we could eat, the wrestling matches in the hotel rooms, whatever it was. It’s the same today." Prost and Senna’s relationship at McLaren was characterised by bitter dislike at McLaren. Rosberg and Hamilton are not in that category – indeed they still maintain a large degree of the friendship first kindled when they were team-mates in karting, aged 14. 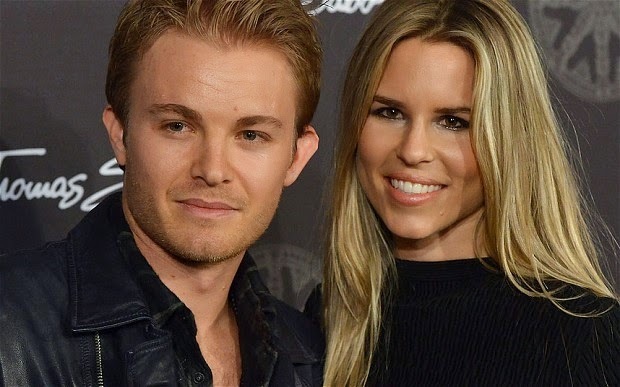 But Rosberg is honest enough to acknowledge a competitive edge that occasionally spills over. “We’re not best friends, and we’re probably never going to be best friends just because it’s difficult in this industry, especially when you’re team-mates, fighting for wins. We get in well, we have a laugh, neutral, very competitive. We even have some heated exchanges, but then afterwards it gets back to normal. That's it. There is a weariness in his voice when he is reminded of the controversy. “Ah, this subject again. I’ve been through it so much. I just wanted to reiterate that I really was a team player, which is what the team wanted from me. Fundamentally, however, whatever role team orders play in 2014 at Mercedes, this is the season for Rosberg to emerge from Vettel’s shadow, and to truly establish himself in the very highest echelons of the sport. Justly or unjustly, in recent seasons Rosberg has struggled to be recognised among that select few of Vettel, Alonso, Hamilton, and perhaps Raikkonen. After three years in which he outclassed the returning Michael Schumacher, the consensus was that the seven-time champion had lost his way, not that his younger team-mate had stepped up. And in 2013, when he matched Lewis Hamilton in the same machinery, popular opinion had it that Hamilton's standards had slipped, rather than Rosberg’s being elevated. Rosberg harbours no resentment – “I respect that opinion, but it’s not something that annoys me” – and prefers to focus on the verdicts of those within the Mercedes family. We meet at an event for Thomas Sabo in Munich, a brand for which he is an ambassador, but when asked if he enjoys these kinds of events as a relief from Formula One, his mind immediately turns back to a frenzied pre-season. Rosberg admits Mercedes “underestimated” the challenge of Formula One on their return to the sport after half a century in 2010. Since then, however, they have invested hugely, assembling a technical team which is the envy of the paddock. In pre-season testing they showed little sign of missing the retiring Ross Brawn. While Red Bull floundered, the silver arrows racked up the miles, setting a searing pace in the process. Rosberg, with just three career wins to his name to date, can expect many more this season, with his eye for technical detail well matched to the plethora of new regulations. Some interesting developments for Wales' new MotoGP Circuit. 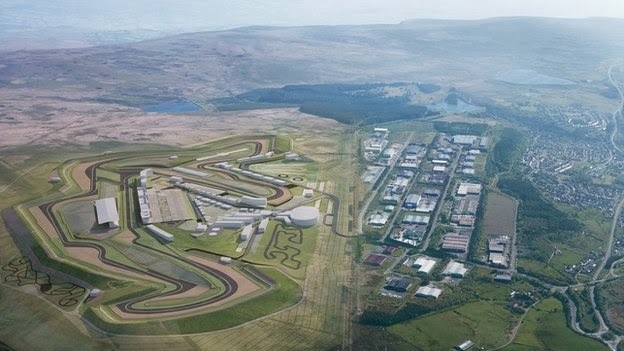 Developers behind the £280m Circuit of Wales racetrack in Ebbw Vale are asking the Welsh and UK governments to commit up to £50m towards the scheme.